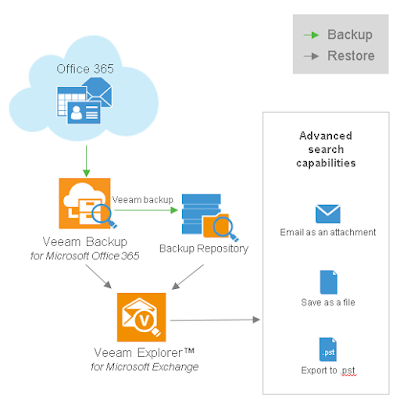 Well, you've start to use Microsoft Office365 in your environment for email messaging. 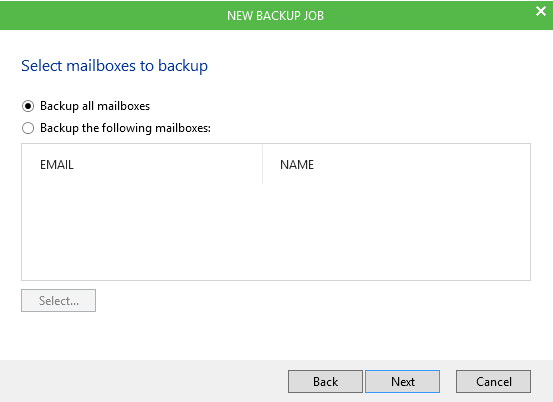 Then next question is how do you protect your daily email message? 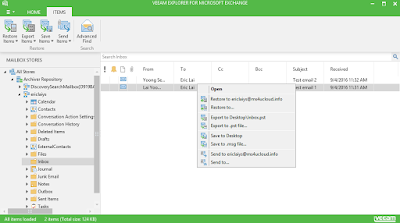 We try to google around & found Microsoft Technet:- Backup email in Exchange Online post. 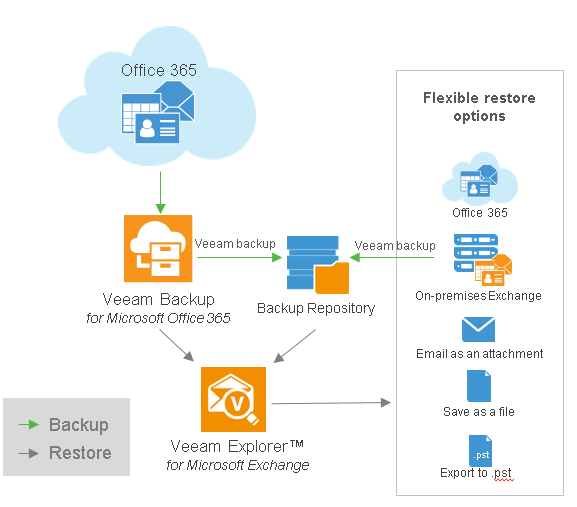 In scenario like Datacenter failure, Microsoft use Exchange DAG to replicate mailbox to multiple databases in separate Microsoft datacenter. 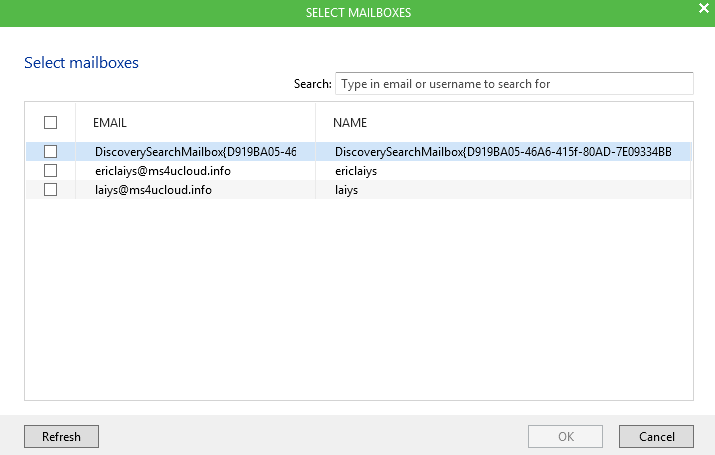 In case of accidental delete data from mailbox, you can use Deleted Item recovery. Question now is it still on the cloud. 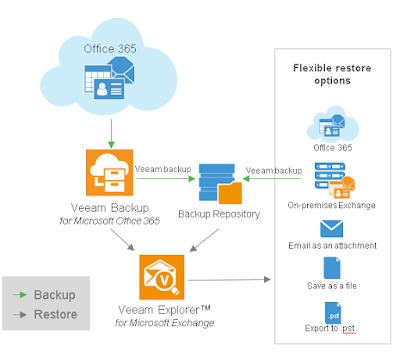 How to perform your own Office365 backup to on-premise. 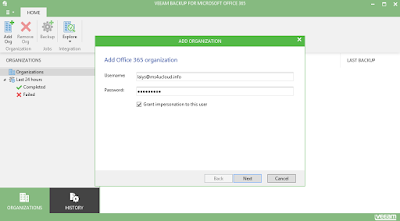 Email on Office365 is still your data - you control it & it's your responsibility to protect it. 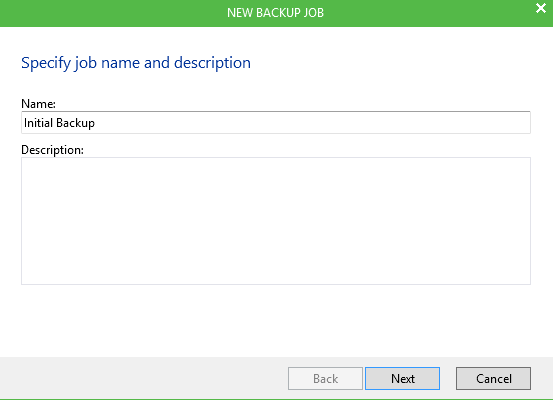 Good news folk! 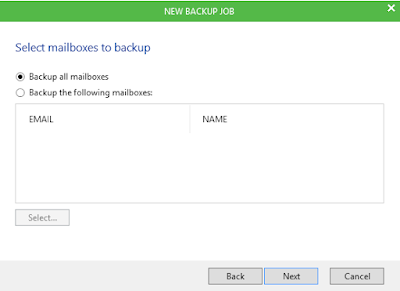 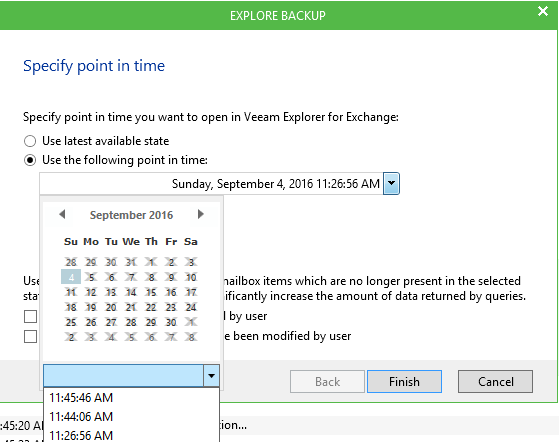 Veeam just released a beta version of "Veeam Backup for Microsoft Office365"
With Veeam Backup for Microsoft Office365 you can securely backup Office365 email data back to your environment. 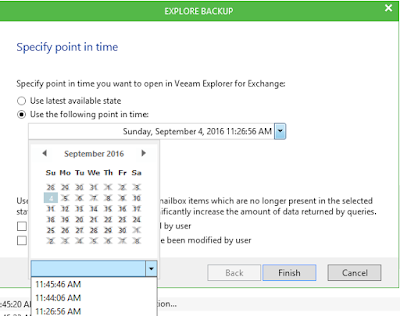 Once backup, you can quicky recover individual mailbox items with best of breed granularity. 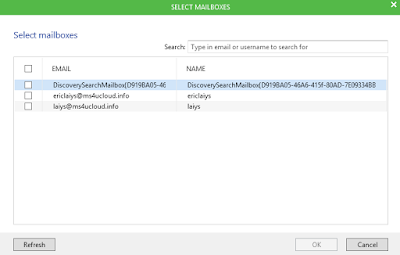 You can efficiently perform eDiscover of email archives. 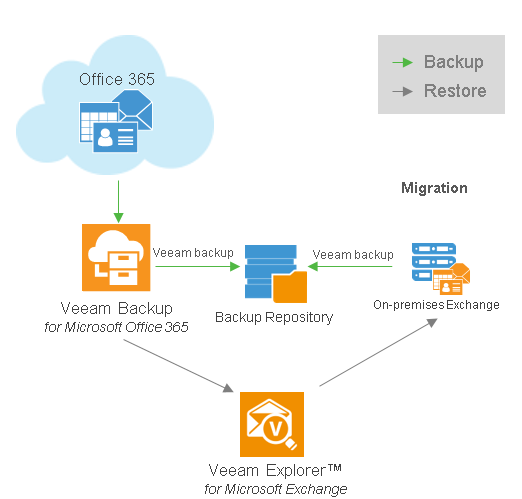 When integrate with Veeam Backup & Replication, you can backup hybrid cloud environments and migrate mailbox data between Office365 & on-premise Exchange. 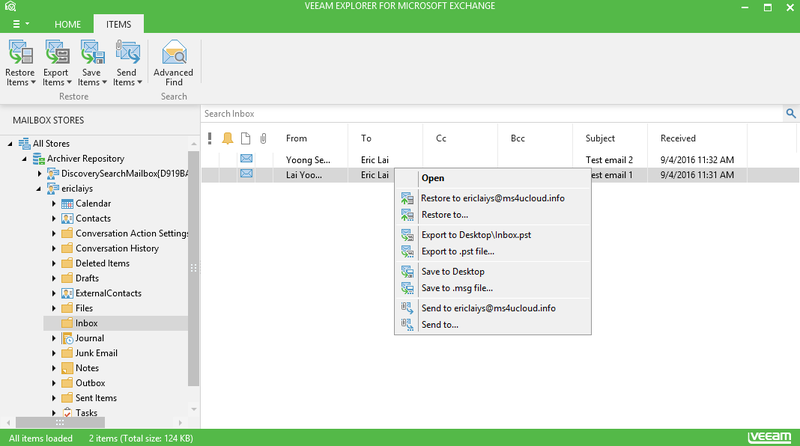 Note:- Screenshot may be different when product release as GA. 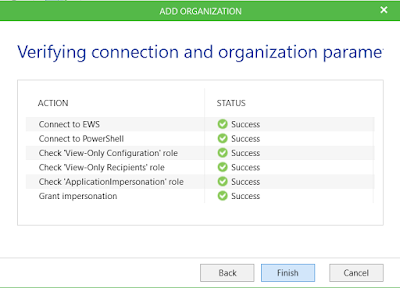 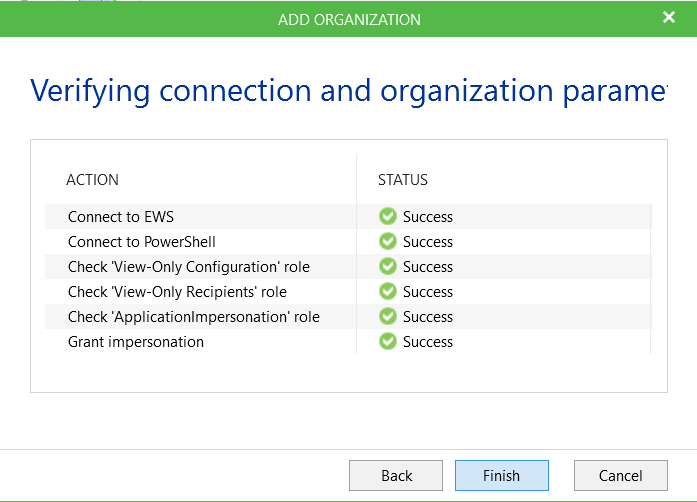 Initial configuration will need to connect to Office365 in order to connect & perform backup. Just enter admin Office365 credential. 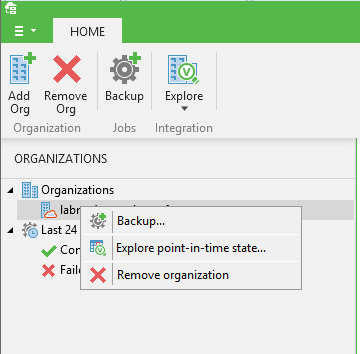 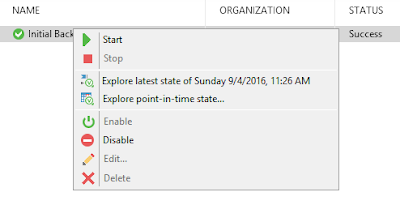 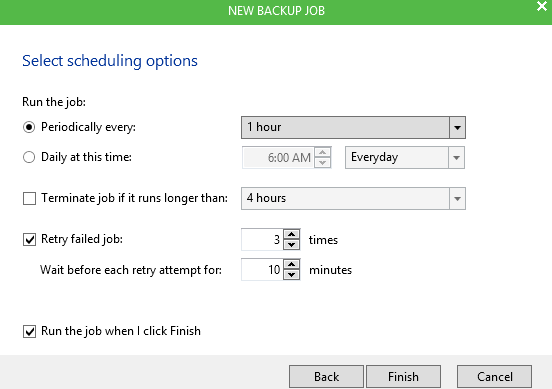 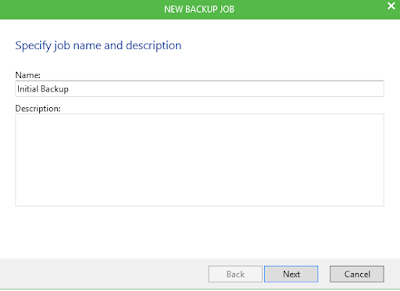 Configure backup scheduling and click Finish to start backup. 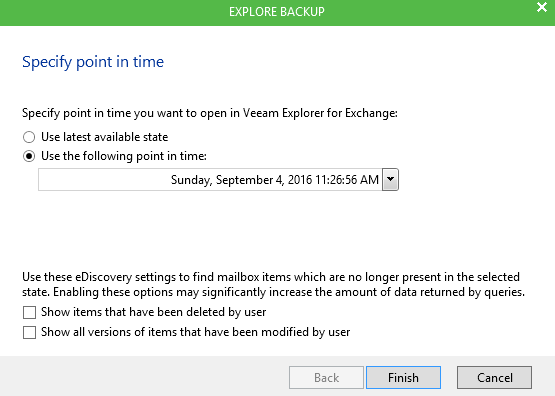 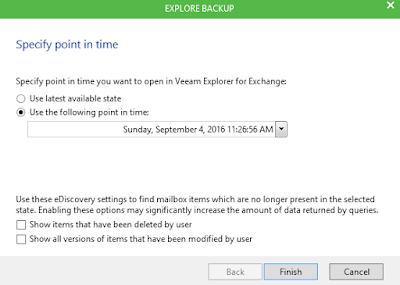 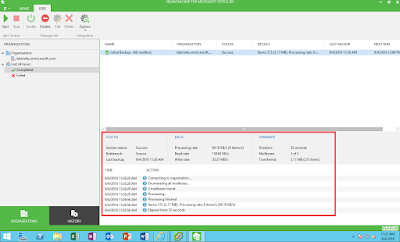 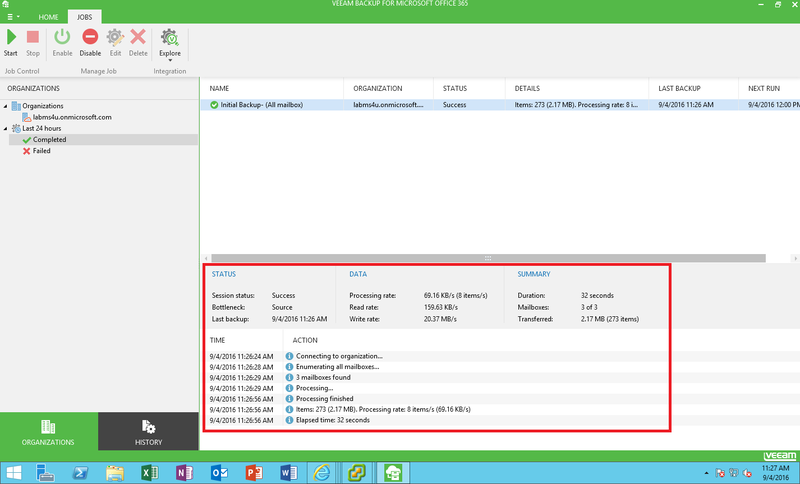 It will open Veeam Explorer for Exchange which allow you to restore granular items.